This really isn't a battle per se, I just want to make a comparison between the ELF Studio Eye Primer & Liner Sealer and the Elf Mineral Eyeshadow Primer. Both products retails for $3.00 each. So you're probably wondering which of the two to pick since they cost the same. The Prime side sets your eyeshadow in so your color won’t fade, bleed or crease. The Liner side transforms your favorite eye shadow into a waterproof, smudge-proof liquid liner with this unique clear liquid and built-in felt tip precision eyeliner brush. 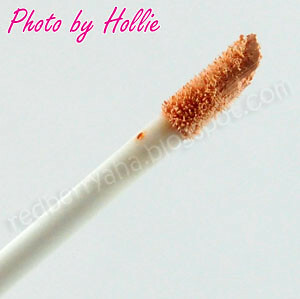 Now you can have your eye makeup lasting longer for no fuss no budge color. This gentle and completely sheer Eyeshadow Primer has key vitamins A, C and E to help prevent aging and moisturizes the skin. The formula glides on easily and disappears instantly to create longer-lasting, crease-proof eyeshadow. The Mineral Eyeshadow Primer is designed to be used with your favorite mineral eyeshadow to provide ultimate staying power for beautiful and vibrant color that lasts. 100% mineral based with no parabens, no preservatives and no chemical dyes. The ELF Studio Eye Primer is a cream based primer so it doesn't dry out easily while the ELF Mineral Eye Primer is in a thick liquid form (much like a liquid concealer) which dries up fast, so you'll have to spread it right away on your lids upon application. 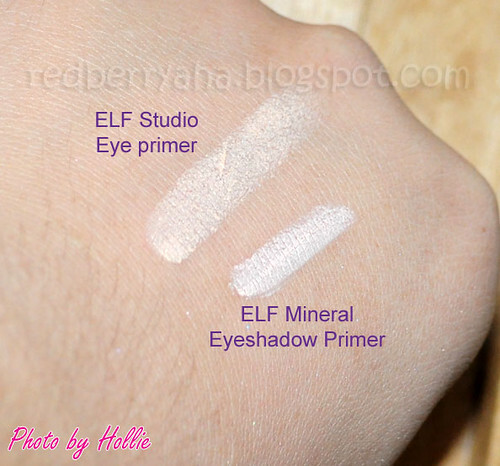 Notice the photo above, both primers made the color vibrant, but since the ELF Studio Eye Primer is cream based, the eyeshadow sticks on to it better and is even more vibrant than the ELF Mineral Primer. I lightly scratched both swatches with my finger, notice the photo above. 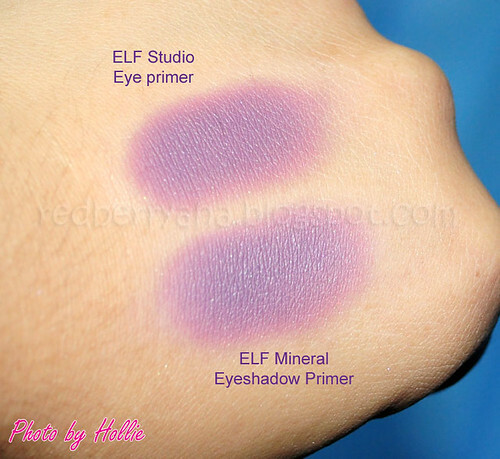 The elf mineral eyeshadow primer really didn't budge, it stayed! While the elf studio eye primer smudged easily. So in conclusion, both has it's own pros and cons. - the liner sealer part of the tube is very useful especially if you don't own any colorful eye liners. - decent staying power but creases easily if you have very oily lids, I have dry skin / lids so it works for me. - Excellent as a primer, tried using it for over 8 hours, didn't crease at all! I honestly do like both primers simply because they do the job considering the price. It's dirt cheap! I use the ELF Studio Eye Primer when I'm just at the office or at the mall and I use the ELF Mineral Eyeshadow Primer when I'm going to party or when I'm going to be under the heat of the sun since it has better staying power. I hope this helps. This is it for now. 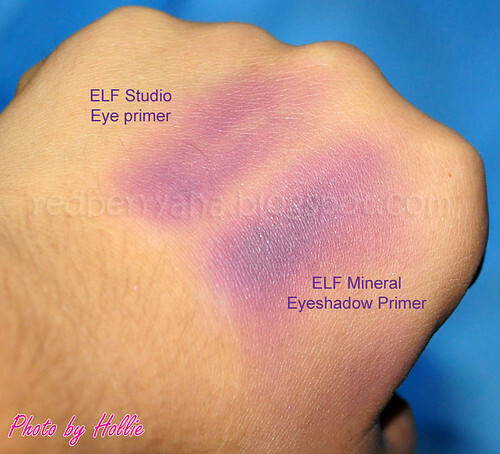 it seems pretty like the same, if i run out of the elf studio primer, i think i will buy it again over the mineral primer, since you can get the most of the product compared to the other because of its packaging. very helpful post :) i would go for the mineral one as in Pakistan the climate is very hot and humid. Does the ELF Mineral Eye Primer glide on smoothly or does it go on dry. Lol...I don't know if that made sense. This is good! I must try the mineral one since I have oily lids!